Hi all. I have just kegged my first beer (evil dog ipa extract kit) and in the instructions i am told to add 150g of sugar to the beer in the keg, seal and wait a week then store somewhere cool. Now my question is will this sugar carbonate the beer on its own or do i add some co2 as well? And at what point? Its in a plastic keg with the S30 fitting for the gas bulbs. Also how much pressure does one of those bulbs add to a full keg? 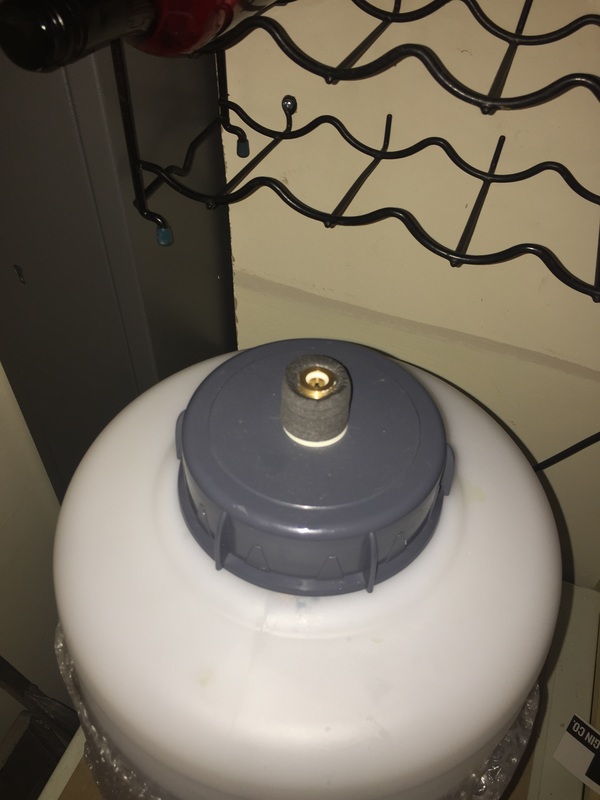 Is it worth getting a pressure guage on these plastic kegs or not bother? Not sure about the type of keg and co2 bulb your talking about but it sounds like your carbonation is coming from the sugar therefore I think you just give a little shot to serve. I wouldn't add more than you need to get a pour or you'll get alot of foam. Post a link to what your using. I think they used to call them pigs. Ok i will wait the week out then, yeah thats what i was thinking but was unsure as no further detail about any extra carbing/pressurising. Pics are of top of keg and the gas bulbs. I use those paint ball cartridges for travel kegs. I have a little gun with trigger and just give it a few bursts here and there. Did it come with some type of dispenser? How much beer does it hold? Not one that i can just do little squirts from here and there. I will have to have a look for one of them. Nice the tap is on the bottom cask style. Won't need as much gas to push it out. Your going to go through alot of those trying to keep it carbonated as it empties long term. That setup looks like it's good for partying when you're going to drink it all. I guess wait and see. Is there a way to hookup say a paint ball tank? This one is for the family at Christmas so it should be drunk within the day i would imagine. As long as its sufficiently fizzy for that im happy. I do not want it to be flat. If the sugar carbonates it enough then cool. And its an S30 valve. I think its just for piercing the soda bulbs. Of course you'll need to sample but don't pull to much off before the party so not to get to much head space and loose co2. Looks like without some type of regulator you will have to empty the whole bulb I think. That would make it foamy. I think wait until its not pouring then inject it. Of course I'm just guessing since I'm not familiar. 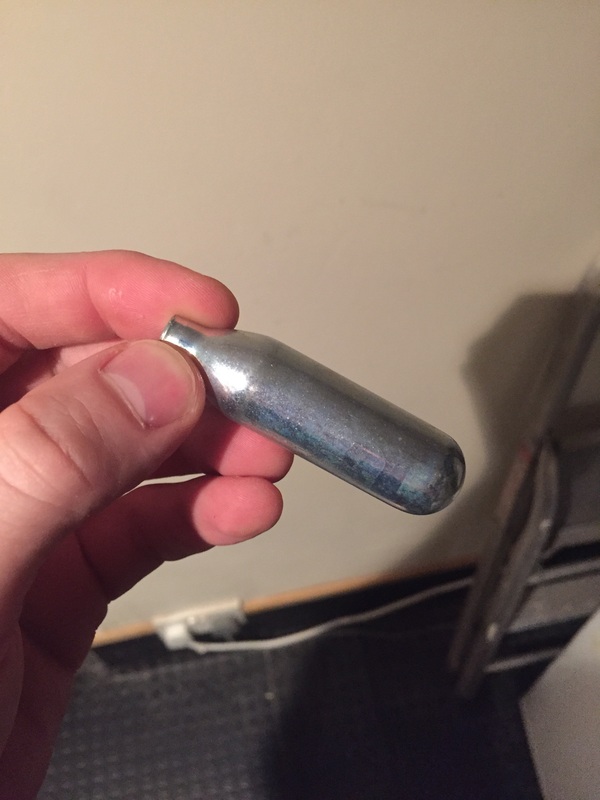 Same CO2 cartridges that go in air rifles/BB guns. I'm not sure if they are the same but check out prices on Crossman and other air rifle companies cartridges. Those set ups with the small cartridges have been around for a long time. When I was a kid my folks had a tap that used them with small kegs. They are still around and I still might have the tap somewhere. Adding sugar and sealing the keg should carbonate your beer. I do it all of the time with 5 gallon kegs. I just bought a 6 pack of those from the home brew place for $12 probably be cheaper at Walmart but I was there. The unthreaded cartridges for air rifles are less than $1 each on Amazon. If they are any different from ones labeled for beer I don't know.